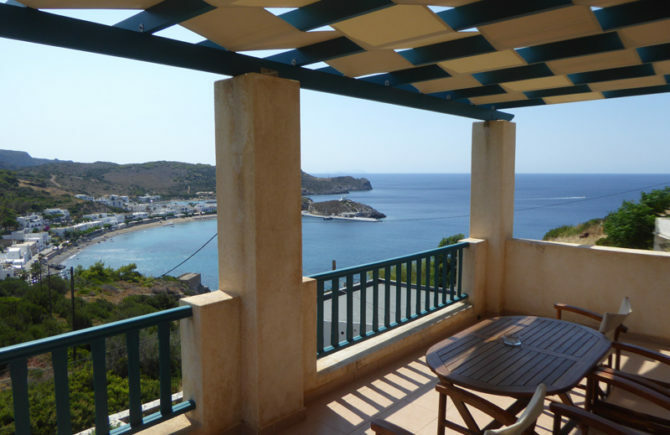 Studios and Apartments at Kapsali, Kythira, Greece. We are a small family hotel. 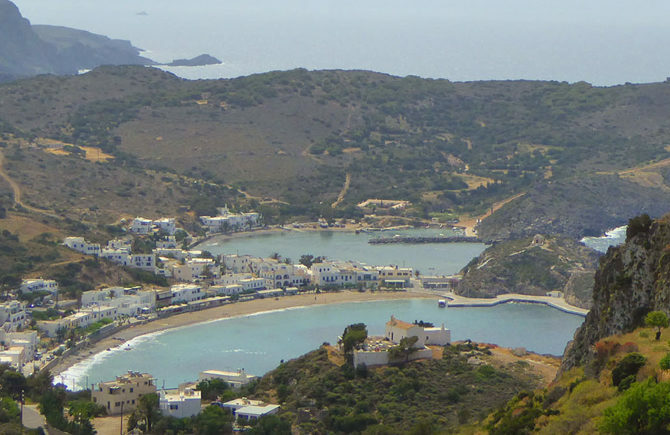 Our mission is to help you make the most of your vacations in Kythira. We are just in the entrance of Kapsali, so we are in a place where you are near the cafes, taverns, bars and the beaches too. Still far enough to be more quiet and relaxing. All of our studios have a 9m2 patio or Balcony with view, the quad apartments have a 18m2 big balcony and a small one, too. Roomy interiors, private patios or balconies. 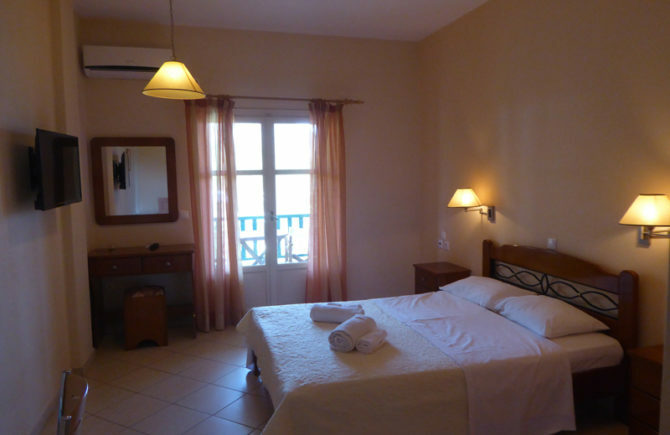 All our rooms have their own patio or balcony, equipped kitchen, air condition, tv, private parking space and free Wifi. 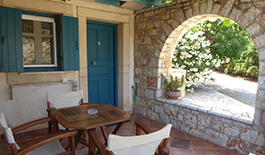 Every studio or apartment has it's own patio or veranda. The quad apartments have a double space balcony with great view in the second floor. More parking spaces than the rooms we have. Every studio has refridgerator, coffe maker, electric kettle, sandwich maker, two ceramic hob with two zones, pots, pan, colander, knives, cutting board, and many many more. 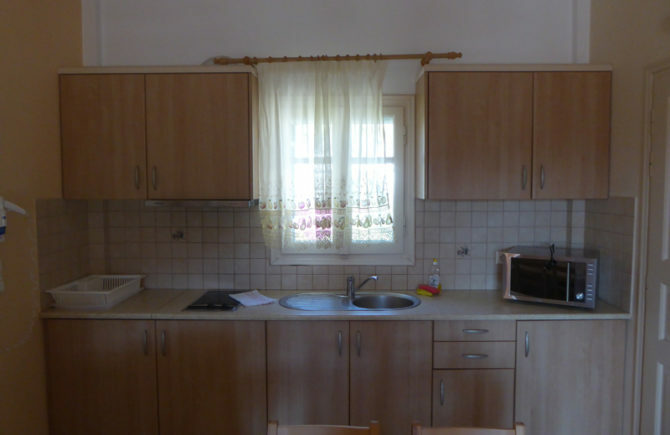 The apartments also have a microwave with grill. Not just a place to sleep at night, our studios are roomy and comfortable. Every studio has refridgerator, coffe maker, electric kettle, sandwich maker, ceramic hob with two zones and cooker hood, pots, pan, colander, knives, cutting board, and many many more. The quad apartments also have a microwave with grill. 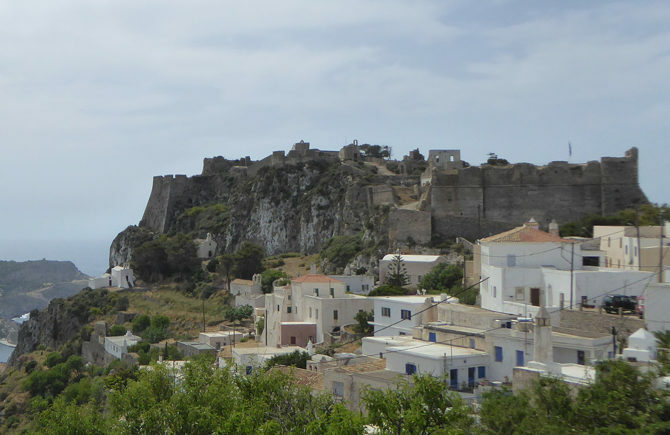 The imposing castle or “Fortezza” was built in the 13th century by the Venetians, who occupied the island. 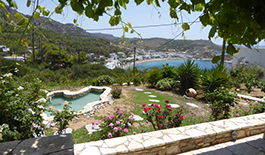 It worth a long stroll so as to explore the old churches, the gunpowder-house with the blazons’ excibition, the cisterns and the breathtaking views of the three seas, the Ionian, the Aegean and the Cretan sea. 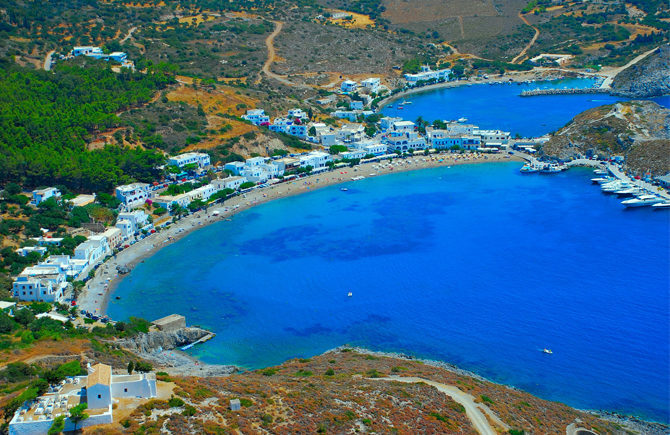 It has a sandy beach with turquoise-blue water where you can enjoy the sea and the view of Chora’s old venetian Castle and the imposing Chytra rock in the horizon. 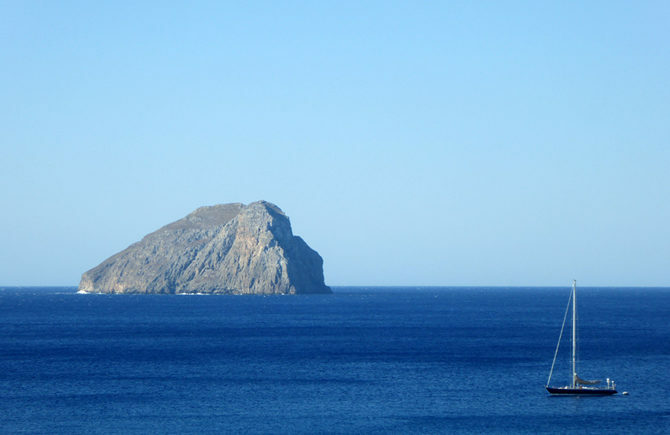 You can swim, rest under an umbrella, rent a pedal boat to explore the bay, eat lunch or just a snack, have a drink or a coffee near the sea, enjoying the sea breeze. According to tradition, Evangelist John came after he left Rome –where he was persecuted- and began the writing of the Apocalypse, before moving to Patmos. Go upstairs the 130 steps to see the old church, spend a few moments in the candle-shaded cave, observe the old paintings in the walls and before this spiritual journey comes to an end treat yourselves to one of the best Kapsali and Chytra views. The gorge of Mylopotamos is just a magical place. 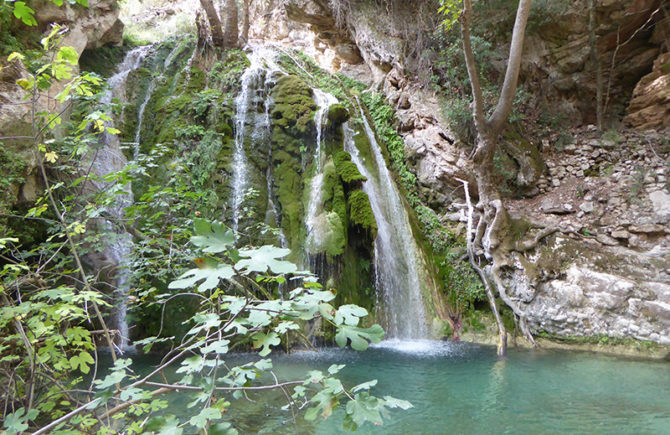 Absolutely go to the “neraida”(fairy) waterfall. But don’t miss the watermills, one of them is renovated you can visit it and drink something refreshing. Then continue to find the ponds, the last one is so big you can really swim inside. So don’t forget your swimming suit. 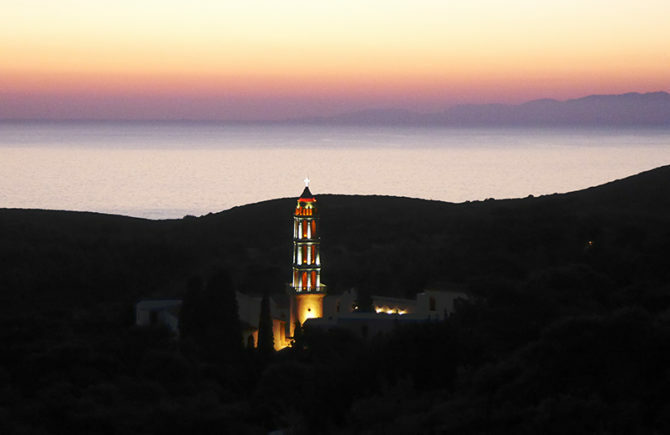 "Panaghia Mirtidiotissa" was build where a shepherd found the icon. The old chapel still exists. The new one with the imposing bell tower from limestone was build in the middle of the 19th Century. There is a big celebration of the on the 24th of September. 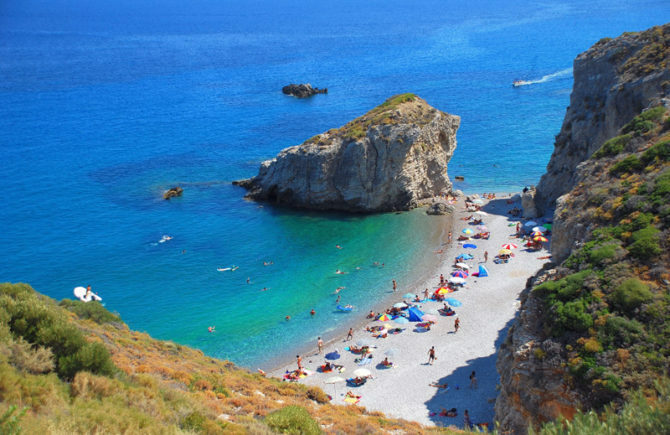 One of the most beautiful beaches or Kythira and surely the most famous one. A triple pebble beach surrounded by cliffs. You shouldn’t miss this one. 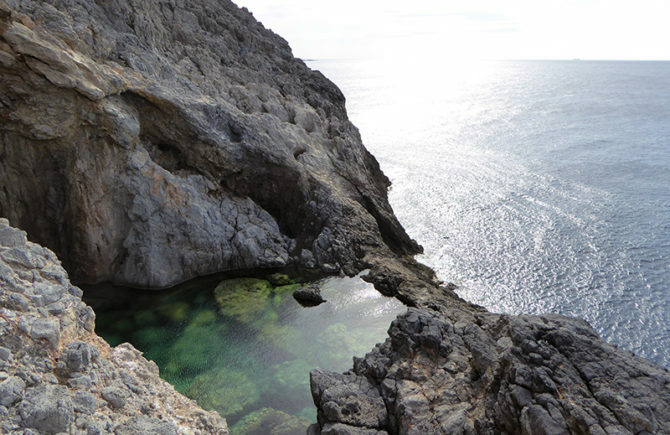 A natural pool with salty water. 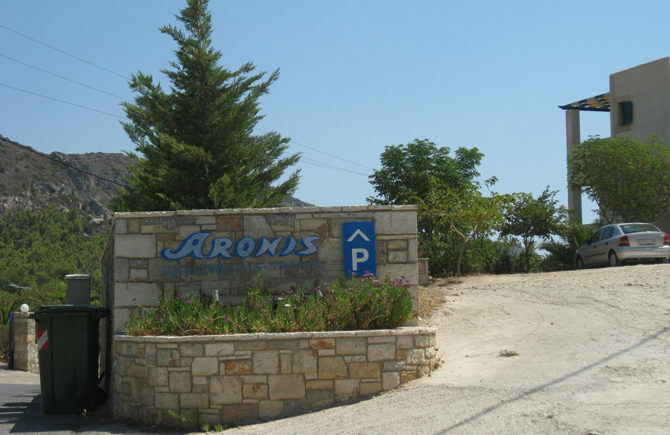 To get there you must take a footpath from Limnionas (about 35-40 min). 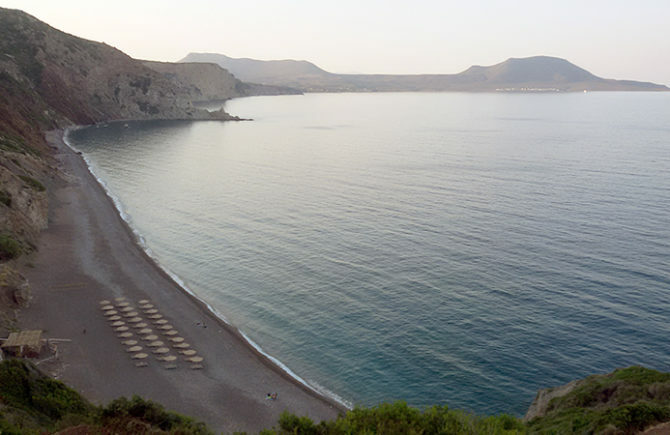 One of the many beaches or Kythira. Somewhere is a beach for you. 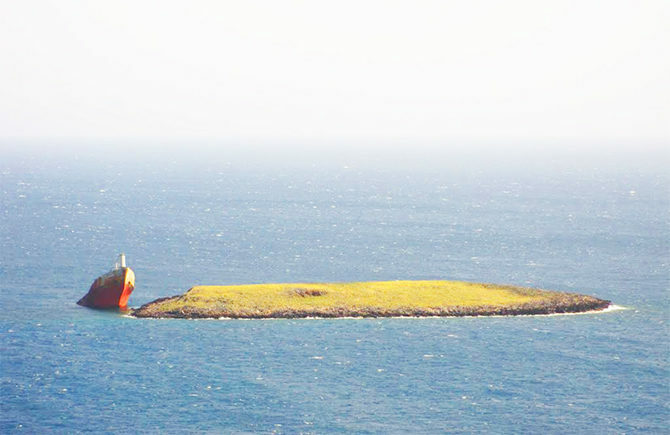 On the 29th of August 2000, while on a voyage from Saint John to Gemlik, the ship grounded at Dragonares a small islet near Diakofti (the Kythira’s port).